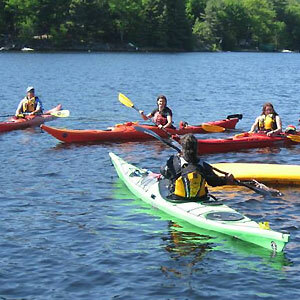 Join us for the one-day Paddlesport Safety Facilitator (PSF) Certification course in kayaking. This one-year certification provides official documentation of your skills and experience for your employer as well as insurance and is supported by the USCG. Becoming a Paddlesports safety facilitator will add credibility to yourself as a source of paddlesports safety information. PSF certification allows the facilitator to introduce kayak safety and knowledge to the beginner paddler. Where: Buffalo Naval Park (classroom upstairs), local launch sites and Cazenovia Pool. Bring your kayak and equipment (equipment available to rent for a fee). If you are interested in an exciting, in-depth kayaking or boating safety course, join us for the in classroom version of the popular on-line course. These beginner classes will give you the knowledge needed to obtain a boat license or safety certification in many states. Many boat insurance companies will offer discounts on boating insurance to boaters who successfully complete About Boating Safely. 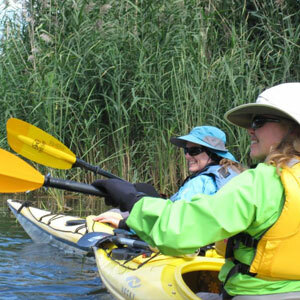 This nine-hour course is designed for group leaders, outfitters and organizers of paddling groups who have knowledge of paddling strokes and can self rescue. Group management, safety and rescue will be covered in addition to risk assessments. Each participant will be expected to lead a group as part of this course. All candidates are encouraged to obtain Wilderness First Aid and CPR to compliment this training. Candidates will receive a certificate of completion. 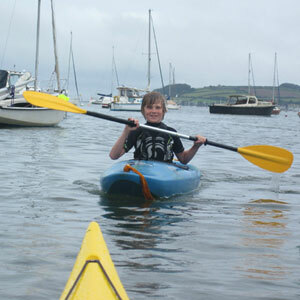 Paddling course sessions are tailored to suit your learning needs and schedule. Reservations are required for all sessions. Contact us to arrange your Seabirds experience. New to kayaking or a bit rusty on your skills? 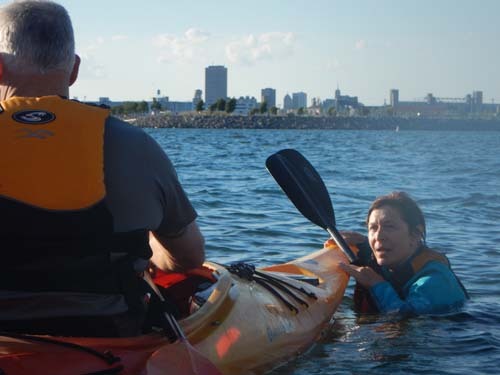 This session will take you through the fundamentals of kayaking including safety strokes and rescues so that you feel safe and comfortable on the water. Discover new skills and learn how to blend your strokes for better paddling efficiency. 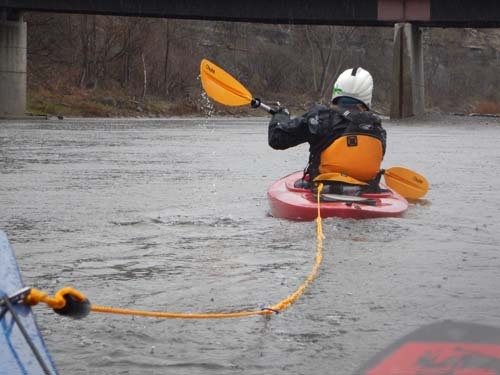 Develop safety and rescue skills including self rescues for a safe kayak experience. Themes tailored to your interests, location dependent on the weather. Boats are available to rent for $30 when participating in a course or tour. Contact Andrea on seabird.ava@gmail.com before booking to discuss your learning experience. Payment confirms that you agree to the terms and program schedule. Refund policy Commitments for accommodation, permits, travel, required coach-to-participant ratios and program development requires a no-refund policy. We want you to book early, but we want you to be sure before you do. Thank you for understanding. Once you have discussed your paddling goals and dates for learning with Seabirds, please enter dollar amount in the pay pal link for the agreed rate. Note: Seabirds reserves the right to modify or cancel an activity if we feel that there are unmanageable risks. Session will be rescheduled. 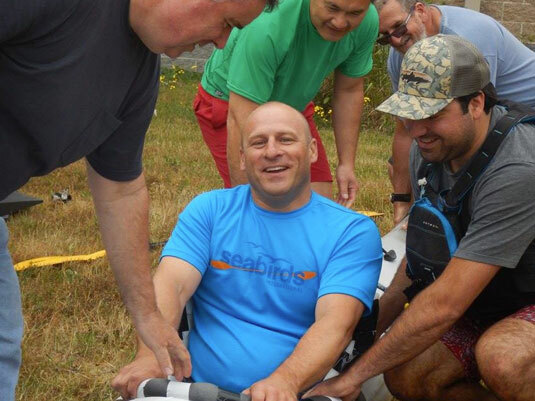 Seabirds is able to offer awards in British Canoeing (BC) and through the American Canoe Association. There is an additional fee for the awards and certificates. Contact Andrea for more information. 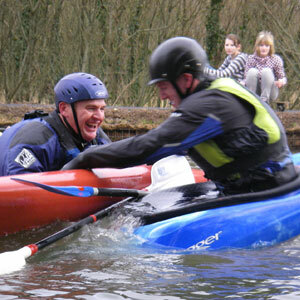 Paddlesport Start is an encouragement award to provide a framework for first time paddlers. For more information visit the ACA National Paddlesport Instruction Program page. 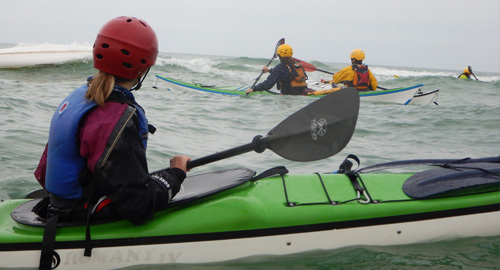 Safety is paramount and Seabirds International ensures a safe experience through current First Aid qualification, CPR, emergency water safety, child protection trained, Adaptive Paddling qualification as well as being licensed and insured. Clean safety record since 1984. Please let us know of any medical conditions that you have or personal requirements when booking your session. Safety First. Learn how to be safe in your kayak from one of the premier guides, the Royal National Lifeboat Institution kayak safety brochure. Yes, 50 meters or 150 feet. Do I need my own boat and equipment? No, Seabirds fleet of Nigel Dennis Kayaks are now available for students to use for a small fee. I don’t know how to roll, does that matter? No, we will only paddle in waters suitable to your ability and you will learn techniques to help you stay upright. During the winter months, pool sessions will be offered so that you can learn to roll in a safe environment. Where can we launch if we already paddle? There are many locations throughout New York state and the US. Below are some helpful links and maps with more information. Not certain of what to pack for your water adventure? This basic list will get you started. For a more detailed item list, please download our Packing List. Note: Seabirds International is not responsible for lost or damaged personal items including cell phones, electronic keys, boats and equipment. Consider using waterproof containers for electronics and dry bags for clothing and food. See detailed kit list for what to bring. Note: All above forms are downloadable PDFs that require Acrobat Reader. If you don’t have it, please click here. Seabirds International is making paddlesports available to all ages and abilities.